At Deli Halal, we combine the traditions of the deli with the integrity, responsibility, and dedication of halal food preparation to create only the finest and most wholesome delicatessen meats. 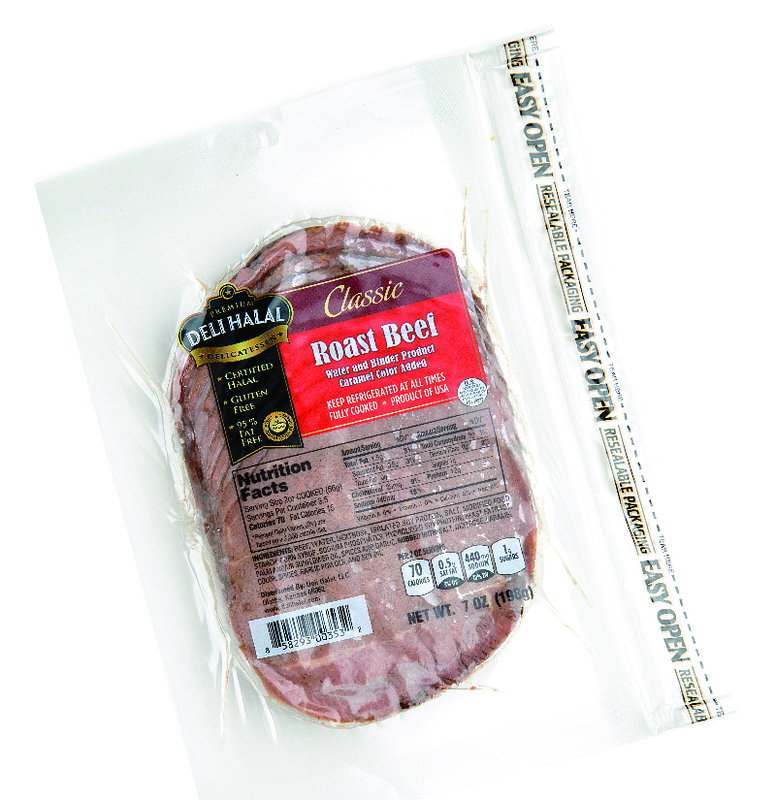 Our goal is to give consumers access to high quality deli products they can trust. Not only have our products met the rigorous criteria required to achieve halal certification, but they have also been crafted from the best possible ingredients, responsibly sourced, and raised in a manner that is humane, healthy, and held to a higher standard throughout the process. It’s a responsibility that we take seriously and one that you can taste in every bite of our superior certified-halal deli products! Our USDA inspected, gluten-free roast beef is made from beautifully marbled, halal-certified beef that has been slow roasted to enhance its true flavor, giving you a purely wholesome experience with every bite. Try our 95% FAT-FREE roast beef in sliders, roast beef barbecue sandwiches, Philly cheesesteaks, or even beef stroganoff tonight and taste the Deli Halal difference! When it comes to this authentic deli favorite, we refuse to compromise on flavor! 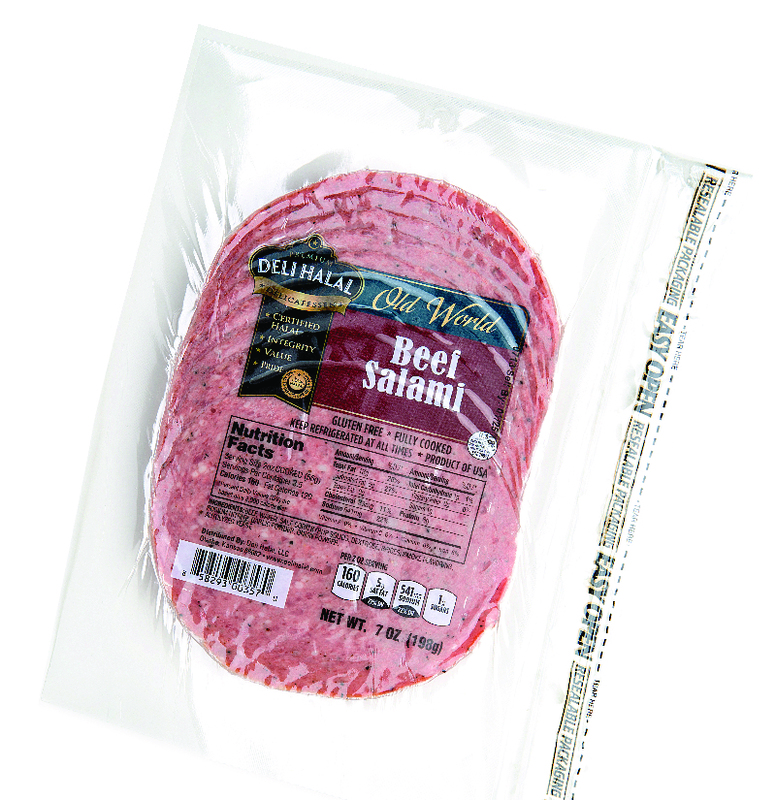 Our gluten-free, old-world style beef salami is made with USDA-inspected, certified-halal beef, traditionally seasoned and prepared for that perfect salami taste. Try it on sandwiches, serve it as an appetizer, or get a little more inventive by pairing pasta salad with sliced salami for a unique flavor treat! 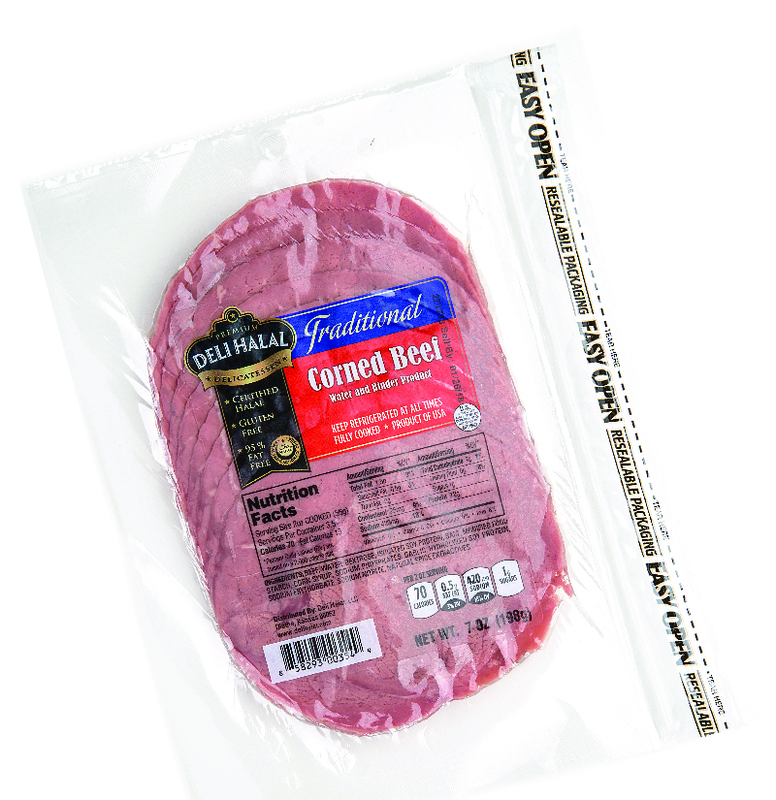 Crafted the old-fashioned way and seasoned with our own blend of spices, the amazing flavor of our Deli Halal corned beef makes it stand out from the crowd. Always made with 100% USDA-inspected beef that has been humanely raised and halal certified, our corned beef is gluten-free and 95% fat-free, and it’s the perfect ingredient for Reubens, corned beef and cabbage casserole, and plenty of other homestyle favorites! 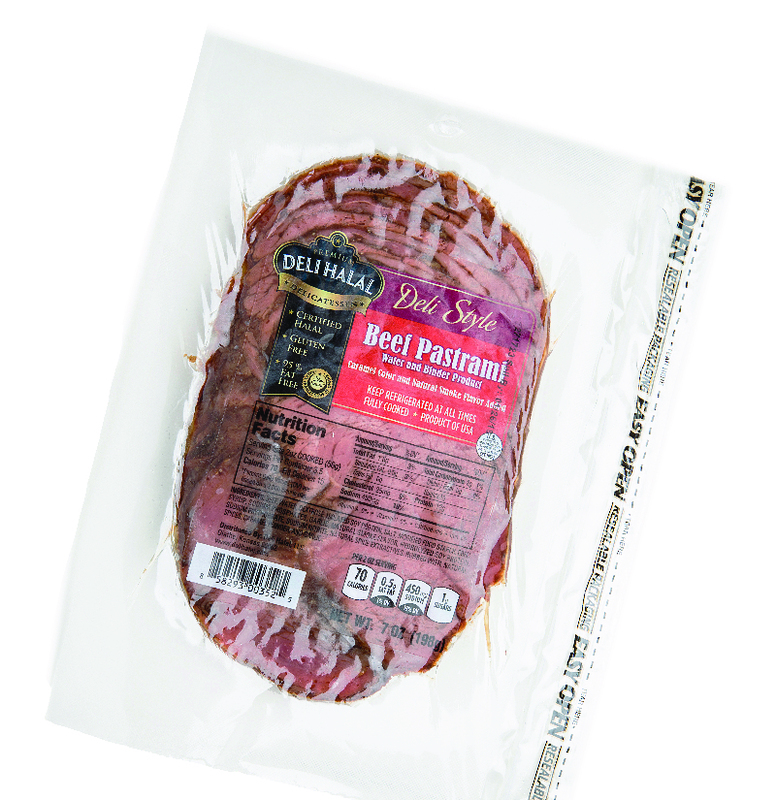 Beef pastrami is one of the oldest traditions in the deli, and at Deli Halal, we take our pastrami seriously. We start with humanely raised, certified-halal beef. We then cure the meat, season it to perfection, and smoke it to bring out that classic pastrami flavor. The result is always gluten-free, 95% fat-free, and of course, delicious. Try it on a hot pastrami sandwich, bake it in a Stromboli, or toss it into the skillet for a pastrami omelet! 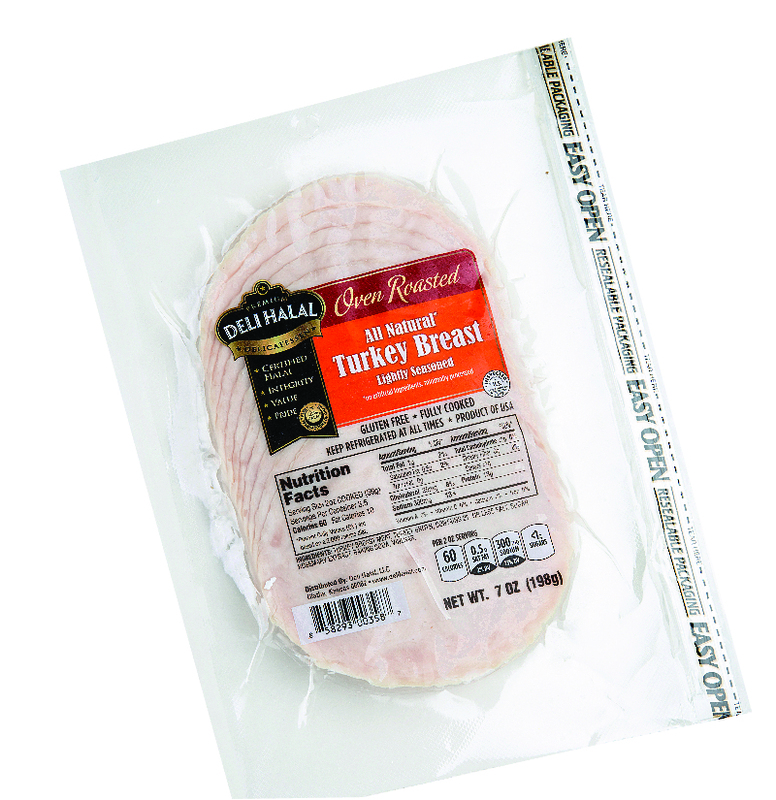 At Deli Halal, we believe the best turkey breast begins with turkeys that are raised naturally, treated humanely, and fed only plant-based feed. We start with whole white turkey breast, minimally processed and free of carrageenan or artificial ingredients, and then we roast it to accentuate its natural flavors and seal in the juices! It’s simply amazing on a sandwich, in a panini, or even on a turkey ranch tortilla roll-up! Ready to Try Deli Halal? 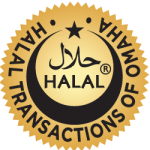 Deli Halal is ready to share our certified-halal deli products with you and your family. We’ve made it easy for you to check for Deli Halal product availability at retail grocery stores and supermarkets. Just click the button below to visit our Store Locator page and find Deli Halal products near you!